If you drive in Quebec, you’ve probably heard of the Joint Report. But do you actually know what it is and when you should use it? Just what is a Joint Report? It’s an easy-to-use document for you to describe a car accident precisely and objectively. You will be able to write down the details of the vehicles and drivers involved, include contact information for witnesses, and draw a sketch of the accident. 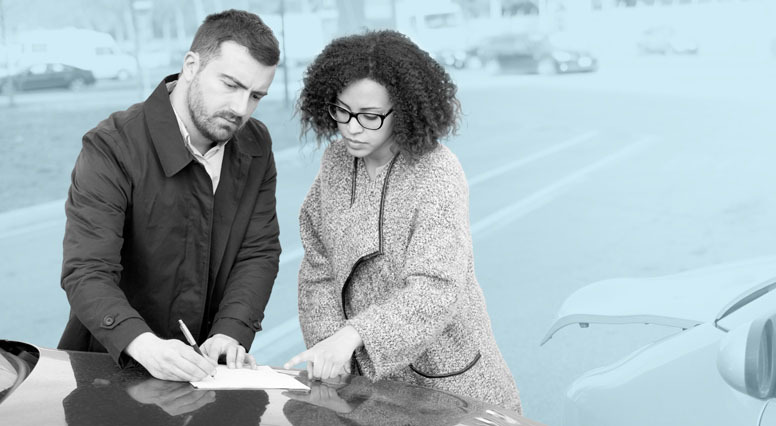 A Joint Report will help your insurance company identify who’s at fault and determine the damages in order to speed up your auto insurance claim. Filling out a Joint Report does not mean admitting that you were at fault. It’s just a tool to identify the parties and quickly report the accident to your insurance company. And in the case of a minor accident with no injuries, you won’t have to call the police as long as you have a Joint Report. When should a Joint Report be filled out? While there is no mandatory timeframe for filling out a Joint Report, it’s best to do so right after the accident and submit it straight away to your insurance company. If the other driver refuses to fill out the Joint Report, there is no obligation for them to do so. In this case, jot down the license plate of the vehicle involved and take a few photos of the accident. If someone is hurt, call 911 right away. In this case, it will be the police who will send a detailed report of the accident to your insurance company. Where can I find the Joint Report?